Jammu and Kashmir's BJP president Sat Sharma reacted to Farooq Abdullah's statement where he said PoK belongs to Pakistan and "that won't change" even if India and Pakistan kept fighting wars. 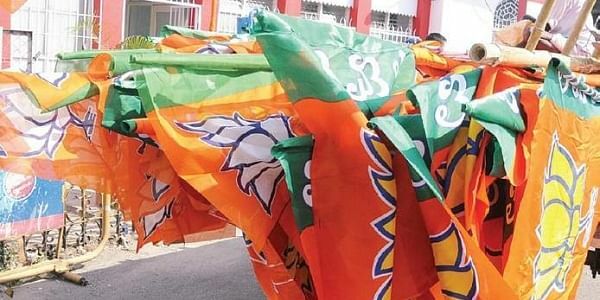 JAMMU: The Jammu and Kashmir unit of the BJP today said that the whole of J-K belongs to India and Pakistan must vacate illegally occupied areas of the state. "Indian Parliament has made it clear that the whole of Jammu and Kashmir belongs to India and Pakistan has to vacate illegally occupied areas," state BJP president Sat Sharma said here. Sharma was reacting to a statement by the Opposition National Conference president and former Chief Minister Farooq Abdullah, which said PoK belongs to Pakistan and "that won't change" even if India and Pakistan kept fighting wars. Abdullah’s statement yesterday came days after Pakistan Prime Minister Shahid Khaqan Abbasi rejected the idea of an "independent Kashmir", saying it was not based on "reality".